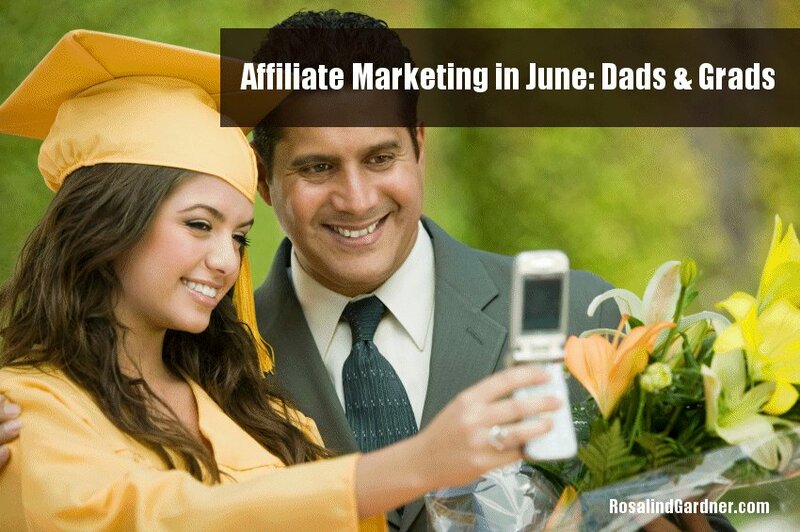 Although the lazy days of the summer ‘sales slump' are just about upon us come June, don't give up your affiliate marketing efforts too soon. June is the time to pick up revenue from Father's Day, graduation season sales and other holidays. 6 National Gardening Exercise Day- Get out and exercise with your plants. 18 National Splurge Day – Oh yeah!! 28 Insurance Awareness Day – Now who do you think invented that!?! The Roll Up Drum Kit. Promote the 2 separately if your niche allows it. With different needs and interests, it's best to target the markets separately. In the USA, UK and Canada – Fathers' Day is celebrated on the 3rd Sunday in June since being made a national holiday in 1966. In Australia and New Zealand, fathers are honored the first Sunday in September. Other countries celebrate fathers throughout the year. Graduation ceremonies typically are held throughout the month of June in North America. Make your blog and email subject lines enticing, i.e. “No shipping fees for Graduation gift purchases.” NOTE: Avoid the word “Free” in your subject line to make sure your message doesn't get caught in a spam filter. Speak to your potential buyers – not recipients. If you are addressing parents of graduates, avoid ‘hip' terminology. Present an array of options. If your niche is fishing, promote everything from cheaper lures to boats. Don't underestimate the willingness of people to spend big money online. 36% will spend less than $25 on a Father’s Day gift. 27% will spend between $25 and $49. 15% will spend between $50 and $74. 22% will spend $75 or more. The top three Father’s Day gifts are hobby-related items for golf, running and baseball (43%), entertainment gifts such as music, video games and movies (30%), and outdoor items such as barbecue tools (26%). Last but not least, give your readers the option of purchasing a gift certificate, in case the buyer isn't sure what the dad or grad will like. The best way to stay ahead in affiliate marketing is by doing your cardio and creating content in the morning before officially starting your day. Good information- thanks for sharing. thanks for this short but great tips on how to increase my revenues this season. And it’s only now that I came to know that Father’s day is celebrated in different dates in different continents. Thanks for the info & the wonderful ideas. Thanks for this wonderful ideas. Thank you for sharing this great stuff and the tips are awesome.